Patient- and family-centered care is a partnership between our staff and your family, working together to meet the needs of your child in the best way possible. We encourage patients and families to be active members of the care team by asking questions, sharing knowledge and making decisions. We can share our knowledge about medical treatments, while you can share your knowledge about your child and family and what is important to you. We encourage you to ask questions regarding medications, tests and procedures. Patient- and family-centered care also means open communication and information sharing in a language and style you can understand. We want you to ask us questions and work with us to develop a communication style that works for you and your family. We are committed to making sure you know how your child is doing and you are involved in the plan of care. Our vision is to partner with your family to deliver what matters to you. Family members are encouraged to take an active role in the care provided to their children at CHOC. 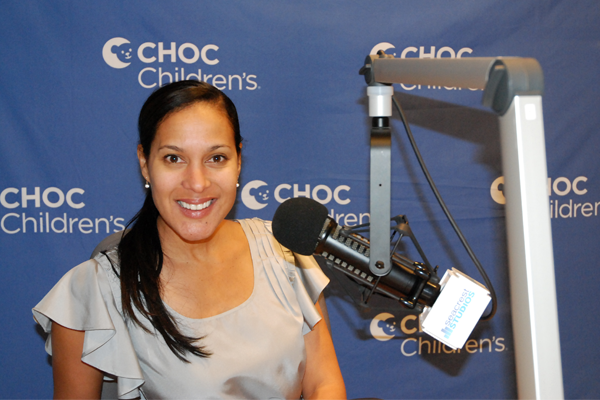 In this CHOC Radio interview, Patient- and Family-Centered Care Coordinator Marta Gebo talks about the many ways CHOC physicians, nurses and staff partner with patients and families. Listen to our podcast about patient- and family-centered care. We rely on four guiding principles to deliver patient- and family-centered care. Your family is a part of CHOC. We are committed to listening to you and honoring your opinions and choices. Your values and cultural backgrounds are incorporated into the care plan and decision-making. We respect that every family is different. In fact, we ask each patient and family to define their family for us, whether that includes parents, grandparents, boyfriends and girlfriends, friends or anyone else who has an important part in helping a child get better. These important people are not visitors—they are partners in a child’s care. Our health care providers strive to communicate clearly and share complete and unbiased information with you. Our communication is timely, accurate and presented in affirming and useful ways. We will always work to use a language and style that makes sense to you. No one knows your child like you do. And, patients have important ideas about their health care, too. Families and patients are encouraged and supported in their participation in care decisions at any level they choose. You may be involved in care team discussions, including physician rounding, bedside reports and shift-to-shift reports. We invite patients and families to collaborate in policy and program development, implementation and assessment in health care facility design as well as the delivery of care. Many patients and families are involved in hospitals decisions at CHOC, and some even serve on key hospital committees such as medical/surgical, ethics, patient safety and palliative care. They provide a family and parent perspective on policies, procedures, documents or education for patients and families. Part of our patient- and family-centered vision is to provide you the information and tools you need while you’re at CHOC. Whether you need a fax machine to conduct personal business, a computer to research your child’s health condition or simply a place to go and have a moment of normalcy, the Family Resource Center is available for every need. The center offers comfortable seating, multimedia workstations, computers, fax machines, printers, WiFi access and a library of books and resources covering a wide range of diagnoses, illnesses, stress management as well as general health and wellness. Some books are provided to keep at no charge. The Family Resource Center is located on the second floor of the Bill Holmes Tower and is open 11 a.m.-7 p.m. Monday-Friday. Our Coffee Kiosk is located just down the hall as well, offering Starbucks coffee drinks and snacks. 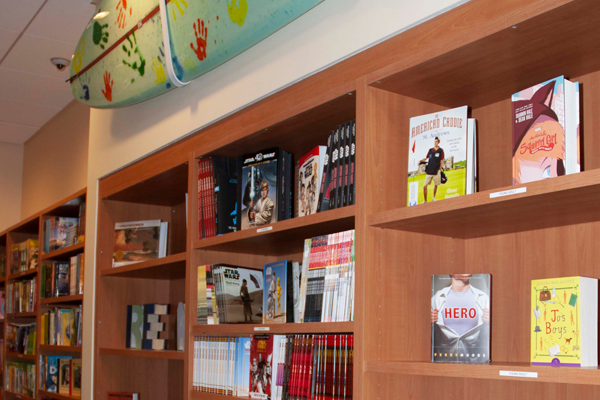 Learn more about the family amenities and services at CHOC. Consulted on the design of the Bill Holmes Tower and the PICU/CVICU. For more information about the Family Advisory Council, please send us a message.